What’s in a name? Branding experts strive for a name that resonates with a product’s characteristics, that is universally understood, and emotes the experience of a user. 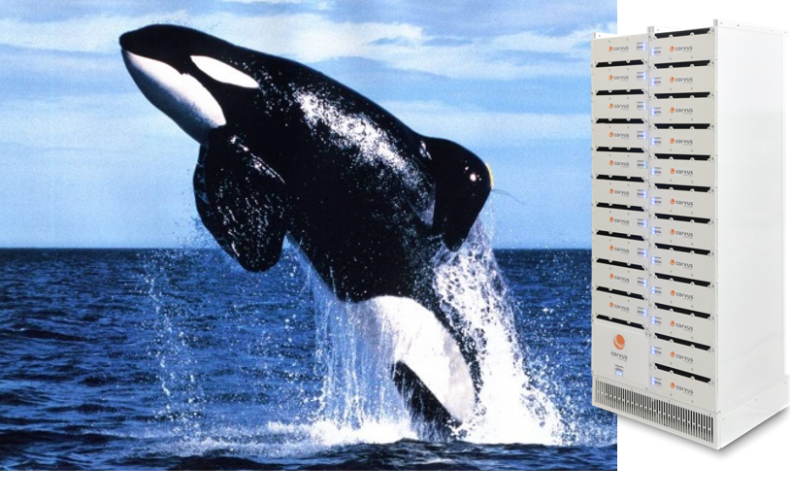 Here are five similarities between Orca™ Energy Storage Systems (ESS) and majestic Orca whales that make Orca the perfect name for the newest Corvus ESS. Designed for Life at SeaTM. Resident Orca whales populations are found primarily in the North Pacific and Northeast Atlantic. Yes, these are the same waters in which Corvus Energy’s Orca ESS are increasingly found, with hybrid and all-electric ferries in the waters of Scandinavia, North Europe and British Columbia. Many transient and offshore Orca whale pods are known to travel great distances and have adapted to life in open water, similar to the new fleets of hybrid-electric cargo and offshore drilling service vessels being built or retrofitted with Corvus Energy Orca ESS. Rather than take a single approach, Corvus Energy offers two Orca ESS product lines designed to meet the various needs of maritime customers. 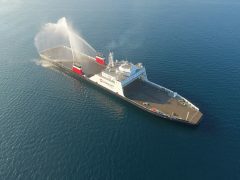 Orca Energy is ideal for applications that require large amounts of energy such as ferries and merchant vessels, while Orca Power was designed for applications that require a seamless response to dynamic power loads such as offshore supply vessels and port equipment. In presenting the award, judges cited the Orca ESS product line’s enhanced safety, performance and, in particular, unparalleled energy density that results in dramatic drops in upfront and operating costs. With significantly improved ROI, Orca ESS is set to breach the barrier to adoption for many marine applications. Following the successful launch of Orca ESS at the Electric & Hybrid Marine World Expo in 2016, Corvus has won over 30 new projects totalling over 25MWh that will utilize Orca ESS. In total, 100+ projects utilize Corvus ESS, now totalling over 75MWh and 1.5 million operating hours. Corvus has unsurpassed experience and knowledge that enables revolutionary innovation. Human Safety at Sea. The Orca whale is often maligned as a ‘killer’ whale. The simple truth is that humans are not at risk from Orca whales at sea. Likewise, while doubts still surface about the safety of Li-ion battery systems at sea, these fears are unfounded for well-designed systems such as Corvus Energy’s Orca ESS. Safety is paramount to the Orca ESS design, with a modular design that improves electrical safety during installation and operation, as well as advanced features to isolate thermal runway at the cell level and vent gas. Orca ESS has been tested and proven to meet or exceed marine safety standards, and Corvus Energy is the only supplier to carry DNV, Lloyd’s Register, ABS and BV product Type Approvals. Intelligence and Communications. Researchers are still uncovering the extent of social cooperation, vocalization and learned behaviors that indicate a high degree of intelligence in the Orca whale species. We draw the fifth parallel in this article to the intelligence and communications capabilities of the Orca ESS condition-based battery monitoring system, Watchman™ ESS advisory portal. Vigilant monitoring of the Orca ESS—from cell level to power system—ensures the system is operating at optimal performance and safety levels. These are five reasons why Orca is the perfect name for the Corvus Energy Storage Systems. Subscribe to Corvus Energy Updates or Follow Corvus Energy on LinkedIn to keep current on all our news.